Prompt, professional and efficient services are key to any lift repair. We offer round the clock back up under contract and can repair all makes of lifts. 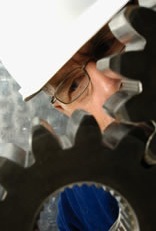 No matter how large or small the repair is, each task is carried out by qualified lift engineers. We also offer LG1 thorough examination, testing and certification. This will ensure that your lift is safe and within current certification. LG1 testing is considered best practice throughout the industry.